The HTC Merge was announced officially today by the manufacturer of mobile phones based in Taiwan. The HTC Merge is an Android smartphone with a QWERTY keyboard which will be launched in North America this spring at a number of different carriers. This is a 3G phone and the first CDMA world phone that is an Android phone. 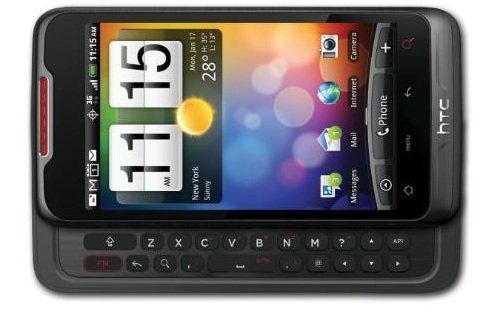 The HTC Merge will come with a 3.8 inch touchscreen, a QWERTY keyboard that slides out, Android 2.2 as the OS, 3G capabilities, 5MP camera, WiFi, Bluetooth and GPS.The user also have the choice of recording videos at 720p. Tech bloggers that had the HTC Merge in their hands last year said that this model is sleek and slim and it’s a great choice for world travelers. The thing about it is that it combines the global SIM card with the things that HTC is good at (a good build quality, hardware, QWERTY keyboard and a nice user interface). These make it a unique phone among the HTC line-up and a good choice for anyone. The keyboard on the HTC Merge is one of the best things about it and the buttons have a very good size, being responsive, properly spaced and clicky. The buttons have rounded edges and they’re flat. The benchmarks tests which were done on it gave it a score that’s around the one of the Nexus One (the Linkpack test). The Quadrant test placed this phone a bit higher than the Android 2.2 based Nexus One. Update: HTC Merge is now available in India for pre-orders at Letsbuy.com, for INR 36,000, which is about $800. Update 2: You can now order HTC Merge from Alltel, where it costs $125 if you get a new contract with them.